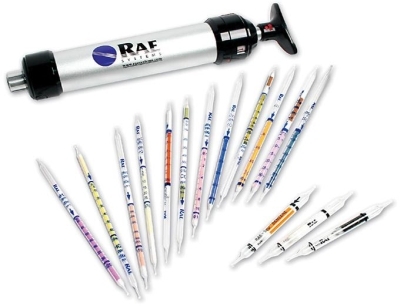 Quick, on-the-spot measurement of a wide range of toxic and combustible gases and vapours has been made possible with the Honeywell colorimetric gas detection tubes. Easy to read, Honeywell tubes are easy to read, and provide a sharp, clear colour change directly corresponding to the concentration of gas present. A reliable way to draw samples of an exact volume required for the most accurate measurements is to use the Honeywell piston hand pump which Honeywell tubes are compatible with.